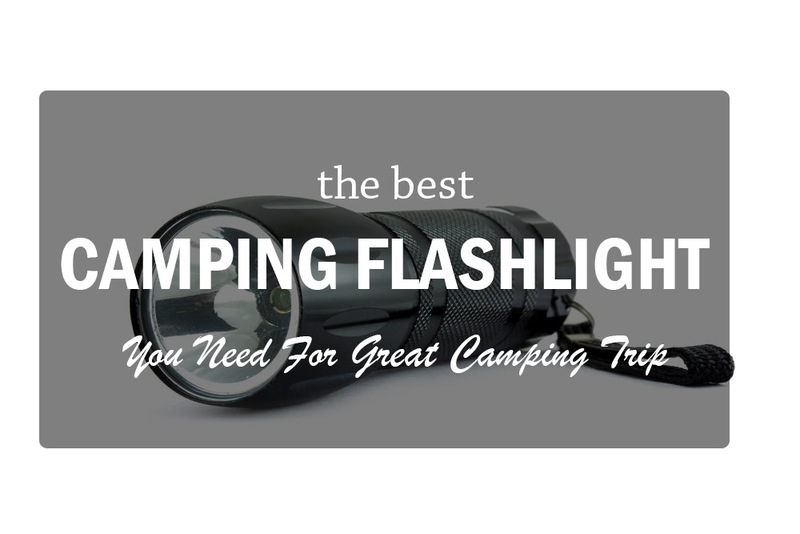 5 Of The Best Camping Flashlight You Need For Great Camping Trip ! 5 Of The Best Camping Flashlight You Need For Great Camping Trip ! 5 Of The Best Camping Flashlight You Need For Great Camping Trip ! When you are going for an outdoor adventure, there is a list of must-have items. Make sure that you have your best camping flashlight with you, after all, flashlights are a requirement for your camping trip to be convenient and safe. Flashlights have a lot of uses in camping. During the night, it will help you to create visibility to your area. If you are night-trekking, flashlights are your guide so that you won't get lost in the way. You may opt for headlamps, but as a recommendation, better use a flashlight. This equipment can give you the brightest, compact beam out there. Camping flashlights also have the highest precision and dexterity. When you are outside, you need to have control in the light. Illuminating dark, hard-to-reach areas are one of the advantages of flashlights. 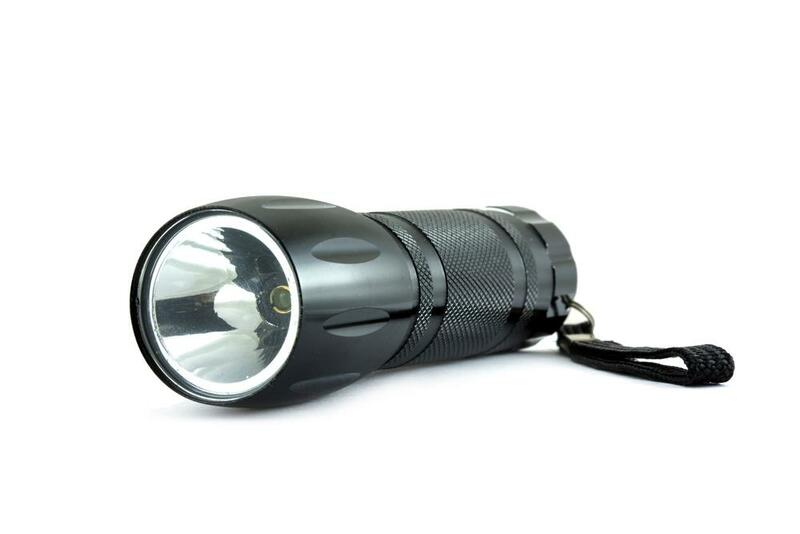 During emergency situations, flashlights are very critical. They are vert efficient in creating signals so that any of your team members or rescuers can easy locate your position. If you got lost in the night, you could use the dexterity of flashlights to spot landmarks that can lead your way to your campsite. Today's technology made a lot of progress, even to survival tools like flashlights. We can see already that this equipment has improved so much when it comes to battery efficient and light output. This is one of the reasons why we recommended you to choose flashlight over headlights. Headlights are handy at some point, but you have no control over the light they emit. When you are listing all the things, you will bring to your trip, never forget your camping flashlight. When choosing for the best camping flashlight, we have set some key components. These factors will be the features that you will have to look to decided which flashlight will you purchase. One optional factor that you might consider is the battery. Is it rechargeable or not? If you ask us for a suggestion, we will compel you to pick flashlights that have rechargeable batteries. We know you are worrying about the cost, but for this time, lay your second-thoughts down. Camping flashlights that have rechargeable batteries may have steep prices. But that is because of the additional features that they can give such as water resistance, shock and impact absorption, various lighting modes, and active heat control. Besides, changing batteries over time can prove that a non-rechargeable flashlight is more costly than the rechargeable ones. For us, a rechargeable flashlight can be the best camping flashlight. Of course, there are also some other technical features that you might want to look for choosing a camping flashlight. The switch could be the first thing that you would notice. Some campers prefer to buy flashlights that have safety locks on the switches. Inadvertent switching on of flashlights while you slide or pack them is one of the reasons why flashlights run out of batteries so quickly. Also, in choosing camping flashlights, you need to ensure its survivability. Therefore, you need to have a flashlight that is sturdy and compact. It should also withstand challenging temperatures such as cold weather. Otherwise, you will experience difficulty in your camping trip. The comfort while holding the flashlight in your hand is also a factor that you need to consider. For better performance, you might need to pick a flashlight that illuminates brightly. These kind of flashlights are brighter because of their high-technology circuitry and advanced bulb and battery system. When you are outside, you should expect that there are no establish sources of light. So you need a flashlight that has high illumination to keep things in check. ** Below, you'll find our more detailed reviews, but you can also click the link above to see the current prices or read customer review on Amazon. With all the key factors and features that we have mentioned, we picked some of the most outstanding flashlights for camping and outdoor adventures. These flashlights will ensure you that you will have a bright source of light for exploration, convenience, and possible emergency situations. 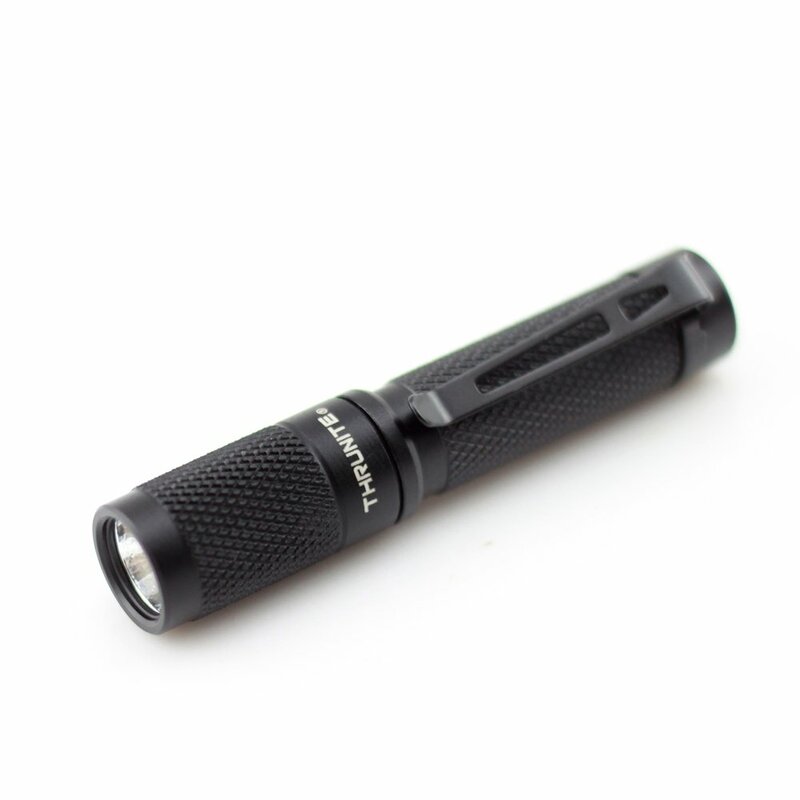 If you are looking for one of the portable yet bright camping flashlights, then ThruNite TI3 is a perfect choice. 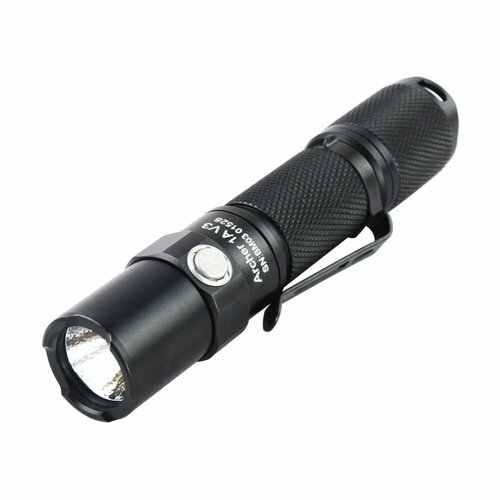 This is an easy-to-carry flashlight; it is super light and small that you can attach it to your keychain. Thrunite T13 only weighs around 0.42 oz if it has no battery. Its dimensions are 2.76 inches (Length) and 0.55 inch (diameter). By just looking at these figures, we can easily declare that this flashlight is great if you don't want additional weight and accessories during your trip. Aside from its portability feature, the ThruNite TI3 is also using the Cree XP-G2 R5 LED technology to make it last longer. When it is on its Firefly Mode (0.04 Lumen), it can last for almost 115 hours. If set on Low Mode (12 Lumen), this flashlight can last up to 6 hours. In High Mode (120 Lumen), ThruNite I13 last for 30 minutes. On Strobe Mode (120 Lumen), it can go on up 1 hour. And what makes it surprising is that Thrunite TI3 can do all of this by just one AAA battery. Even the ThruNite TI3 is quite small, you still cannot underestimate the light output it can give! Check The Latest Price and Reviews on Amazon! 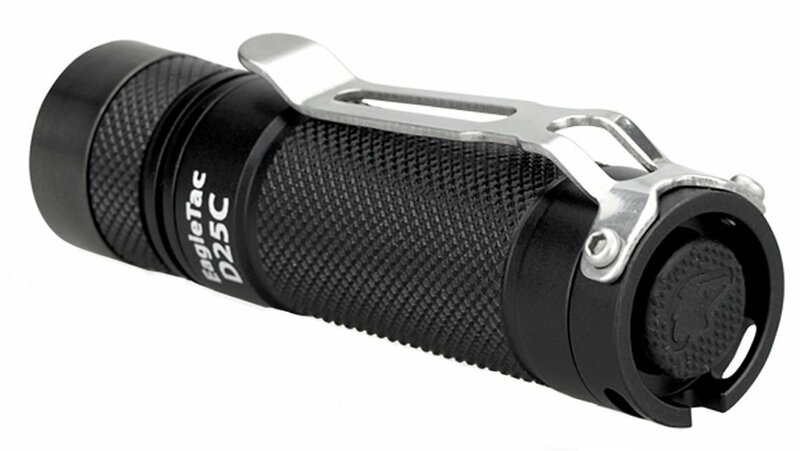 The body of this flashlight is an aluminum-coated metal and has anti-abrasive components. 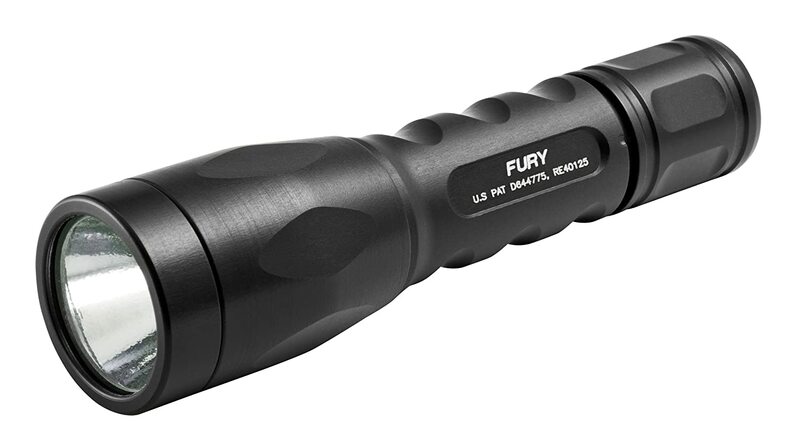 You can be sure that this flashlight can perform into any conditions and can survive heavy impacts with less damage. You also don't have to hold this using your two hands; as we have mentioned, it is small. It has a twitch switch feature to make one hand operated possibly. When looking for the best camping flashlight, you need to consider the NiteCore MH1A. It is one of the most-sought portable flashlights out there because of its rechargeable feature. It is also small too, which makes it perfect if you want an easy-to-slide and easy-to-pack flashlight. The NiteCore MH1A uses the Multi-Task Series of the NiteCore flashlight brand. This feature ensures that this flashlight is compact, sturdy and has a stable light output. It uses the Premium CREE XM-L U2 LED to withstand longer time of usage. With this battery technology, this flashlight can last up to 24 hours. The maximum light output of this camping flashlight is 550 Lumen, which is its Turbo Mode. It also has a strobe feature. What makes NiteCore MH1A ideal for travel is its USB integration feature. While you are on the road, you can just plug it into any USB port and this flashlight will be powered up again! Another good thing about the NiteCore MH1A is its duel fuel light system. You can use its default 14500; 750mAh battery or pick a regular AA battery. On the other hand, the body of Nitecore MHIA is around 5 inches and is made from HAIII military grade hard-anodized metal. It has an anti-rolling feature to make it not slide into your hands. The switch has a tail cap to prevent unwanted usage of this tool. You can be sure that this flashlight can survive any drops! Another one from ThruNite, the ThruNite Archer 1A V2 has the qualifications of the best camping flashlight. 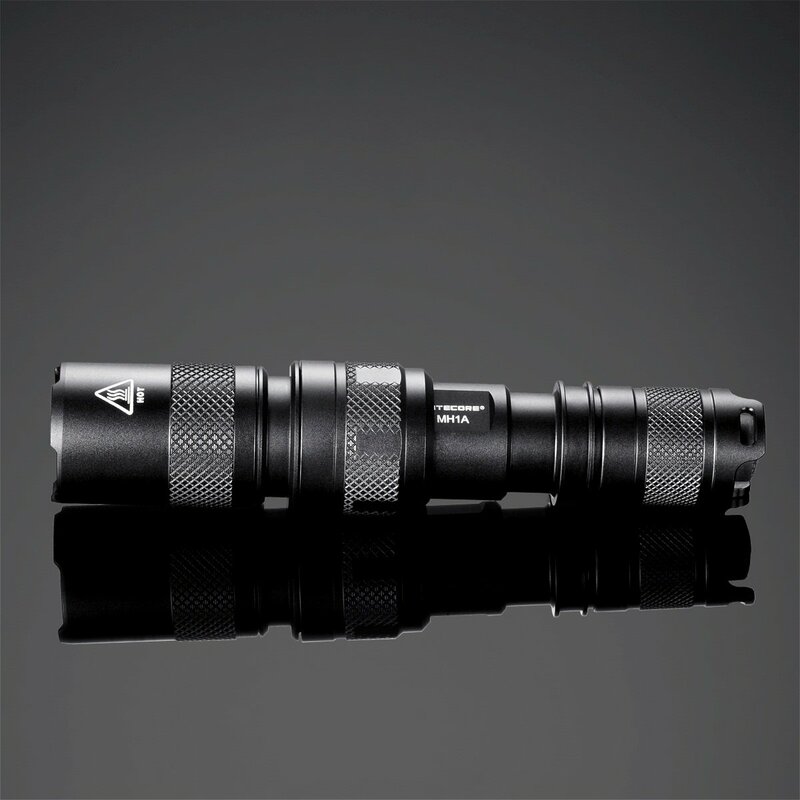 The lighting of the ThruNite Archer 1A V2 is a CREE XP-L V6 LED. This type of LED, accordingly and attested by those who have this flashlight, can last up to 20 years even if you use it daily. The beam has also been improved through the addition of a reflector. It can reach for farther distance and can spread evenly without any dark spots. The ThruNite Archer 1A V2 has an excellent user interface. From the original one, this camping flashlight has two switches already for smooth operation. One is a forward-click tactical switch at the tail, and the other is a side switch. A U-shaped groove is also integrated with the tail-cap to prevent unwanted activation. But at the same time, this groove also serves as a way to quickly switch the TruNite Archer 1A V2. This flashlight only weight 2 ounces if it has no battery, and has length 4.3 inches and a diameter of 1 inch. If you adjust it to its lowest setting, the light output of Thrunite Archer 1A V2 is 17 Lumens (22 hours). The maximum output, on the other hand, is 180 lumens, which is equivalent to two hours of service. Don't underestimate the weight and dimensions of the flashlight. With its stainless steel bezel construction, you can use this as a mode of self-defense in case of emergency! It has five modes: the firefly, low, medium, high, and strobe. A memory feature also makes this flashlight remember your last setting! Its default 14500 battery powers the entire flashlight. However, you can also switch to the standard AA battery. This camping flashlight is a part of the EDC (Every Day Carry) series of Surefire. It is a LED flashlight that uses the IntelliBeam Technology so that you can control the light output automatically based on the environment you are dwelling. This particular feature will let you adjust the light between 16 to 600 lumens. You can access this setting by just clicking the switch on the tail cap. To fully use the 600-lumen capacity of Surefire P2X Fury, just turn off the flashlight and then switch it back again after a second. (This is when you will access the IntelliBeam feature of this camping flashlight). If you use the maximum setting, this flashlight can run for 1.5 hours. In the low setting (15 lumens), it has a lifespan of 46 hours. The tail-cap switch of the Surefire P2X Fury is also a preventive measure to impede any unwanted activation of this device! This flashlight uses two 123A batteries, which is already available upon your purchase of this product. These batteries have a guaranteed shelf life of 10 years to ensure that you can use this flashlight for a longer time! Surefire P2X Fury is portable because it is just pocket-size. Although small, the body of this flashlight is strengthened by an aerospace aluminum and is hard anodized under specific military requirements. This is to ensure that this tool can withstand abrasion, corrosion, and scratches. Its dimensions are 5.4 inches (length) and 1.4 inches (diameter). Its reflector uses micro-texture to ensure that the beam reaches far and highly-optimized. The window is coated and tempered for maximum resistance to thermal shocks and impact. When looking for the best camping flashlight, portability is a requirement. In this qualification, the Eagletac D52C is one that stand outs. This device only weighs 1 ounce, so you will never treat this as extra luggage. It is also small and can fit any of your smallest pockets. It has a dimension of only around 2.9 inches long and 0.78 diameters! Even with its small size, the Eagletac D25C can offer you three different LED options--the CREE XM-L2, the Nichia 219, and the CREE XP-G2. These LED options maximize the light output of this flashlight in various environment settings. The CREE XM-L2 can give you 453 lumens of light output while the CREE XP-G2 will offer you 408 lumens of brightness. The Nichia is only 300 lumens, but this LED has a good Color Rendering Index to reveal the color of the objects being illuminated. The Eagletac D25C has a CR123A battery, but this single battery alone can run this device up to 150 hours on its Low setting while an hour on its Turbo. One good aspect of Eagletac D25C as a camping flashlight is that it has four brightness level. Aside from that, there are also seven auxiliary modes that you can access on this flashlight. The switch button will let you control these settings. When you activate this flashlight, you can already select the light output level you want. Loosening the head will let you adjust the auxiliary modes. These flashlights are made for any outdoor adventures and have different portability features that make them easier to carry anywhere. All of them have small sizes, but they are all constructed in a compact, rugged system to make sure that they can resist damage from abrasion, rust, and corrosion. Apparently, these flashlights are the brightest of their kind with the presence of their innovated light output modes. However, we will declare the ThruNite Archer 1A V2 as our best camping flashlight because of its various technical features and sturdy construction that can be used as a tool for self-defense. It has a bright light output, long battery life, and portable qualities that are essential for camping. Many users have acclaimed this, and we have no way to argue with that. Do you have any comments, questions, and suggestions? Enlighten us! We love to hear from you!